After finishing the hike to Alberta Falls we drove to nearby Bear Lake. The lake was not frozen but the wind was incredibly strong. 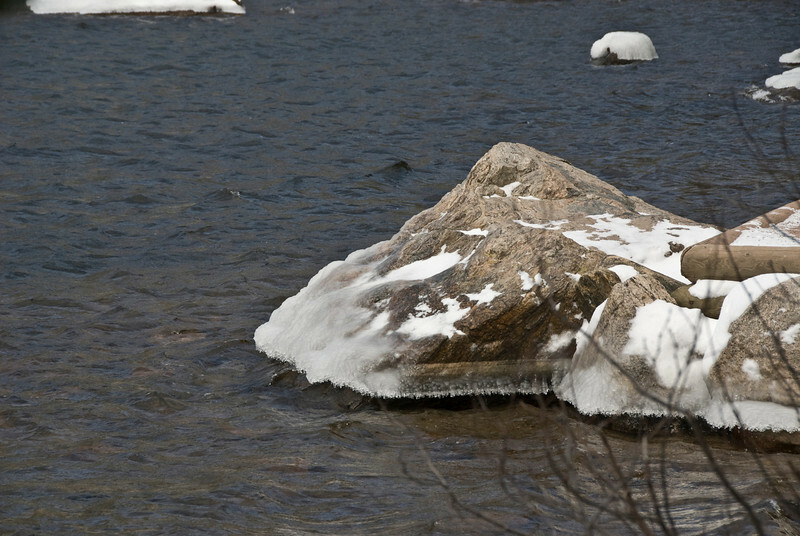 There was snow all around the lake and the water froze when it splashed on the rocks. The gusts as I briefly walked along the lakeshore was easily at or near hurricane force.